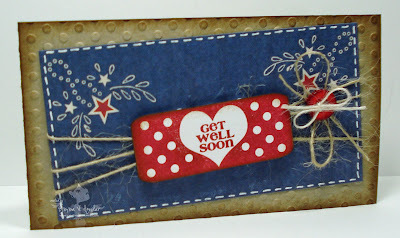 My Creative Time: Sneak Peek #2 of my 5th Edition Stamp Release! Oh my... this totally is just an incredible card! I LOVE the colors and that sentiment! Emma... I am so excited for Friday! YOU REALLY ARE AMAZING! I love your card. Can not wait to see all your stamps. Oh Emma!!!! This is just soooo cute!!! I love it!!!!!!! Can't wait to get my hands on this one!!! I can't wait now! I love this! This is so cute Emma! I love your card. Can't wait to see the rest of them. So cute! I love that country/patriotic feel! I just commented on FB, but I have to comment again. This card is just gorgeous! I LOVE your band-aid!!! Emma, such a cute card. Your friend will love it. Loving the new stamps! This is sooo pretty!! Love it! Such a cute card Emma ! I know they are going to love this awesome card ! That is the cutest and sweetest bandaid I have ever seen! I love it! This is sooooo adorable!! Love it!! Love all your stamps. I hope to be able to order some soon!! Very nice card. You do amazing work. So excited to use your stamps. I love your bandaid. Can't wait to see what else goes along with it! This release will be so sweet! Come on Friday! Fabulous card. I LOVE the band aid with the heart in the center. That is the cutest sentiment ever. You friend is going to love her card. That is adorable!!! And the colors are FABULOUS!!! Can't wait to see the whole release!